We carry the largest selection of raw, freeze dried and dry food for your holistic cats and dogs. Raw bites, medallions and patties are available! Nature’s Variety Instinct Raw Bites Frozen Pet Food provides nutrition in its purest form – proteins, vitamins, and minerals that are ready for the body to utilize. High quality protein is the first ingredient offering your dog or cat optimum nutrition. 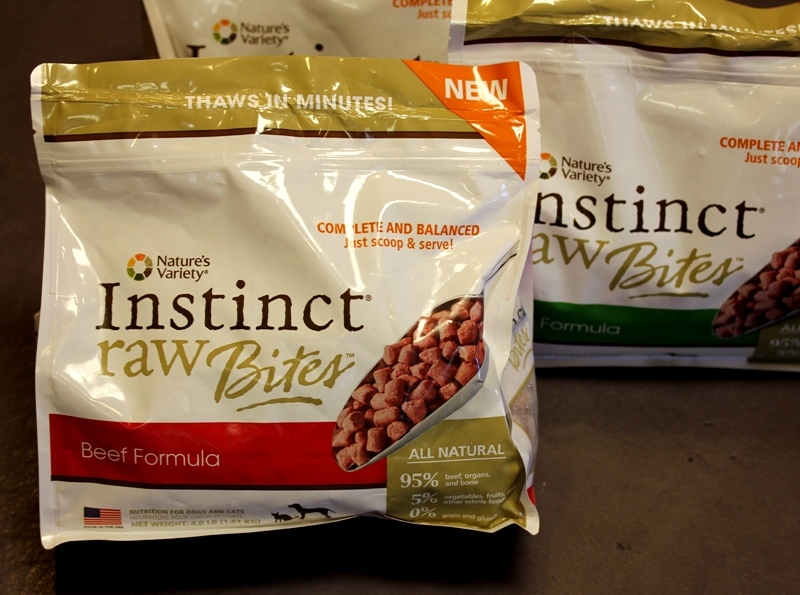 Full of natural goodness, Instinct Raw contains pure, whole food ingredients for optimal nutrient absorption and natural enzymes for digestive health. Healthy and convenient, this raw pet food is complete and balanced for all life stages and breeds and requires no mixing, measuring, or cooking. EASY TO EAT AND HAS A CRUNCHY TASTE LIKE DRY FOOD BUT MUCH HEALTHIER. GREAT FOR CATS AND DOGS !